Take I25 to the Harmony exit. Head west on Harmony. Turn North on College (287). 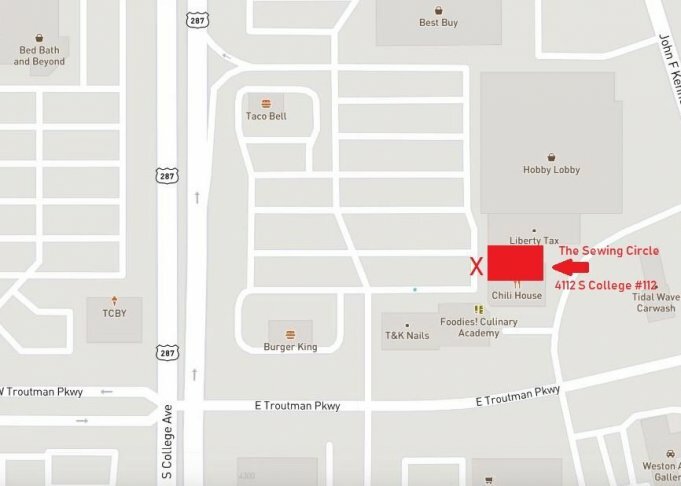 Go two blocks (we will be on the right between Chili House and Hobby Lobby).